contentgroup’s National Pride in Canberra PR strategy was our response to the challenge of changing the negative stereotypes about Canberra. We wanted to help build a genuine and lasting connection between the people of Australia and their capital city in Canberra’s Centenary year. Building national pride in Canberra was a goal of the Centenary. We set out to communicate Centenary of Canberra Creative Director Robyn Archer’s challenge to all Australians to “rethink, re-mix and re-imagine” their views of Canberra – their national capital. The ACT Chief Minister and Treasury Directorate engaged us in 2012 to collaborate with the Centenary of Canberra PR team in developing strategy, tactics and implementation plans. The immediate goal was to challenge the negative perceptions of Canberra held by Australians living outside the Territory. As a Canberra-based business, we saw this project as vitally important to our community. The General Manager of the Centenary of Canberra, Adam Stankevicius, said that contentgroup had added value and reach to the Centenary’s PR effort. “While national pride in Canberra is difficult to measure exactly, media monitoring results show that positive news of Centenary events has reached every corner of the country,” Mr Stankevicius said. 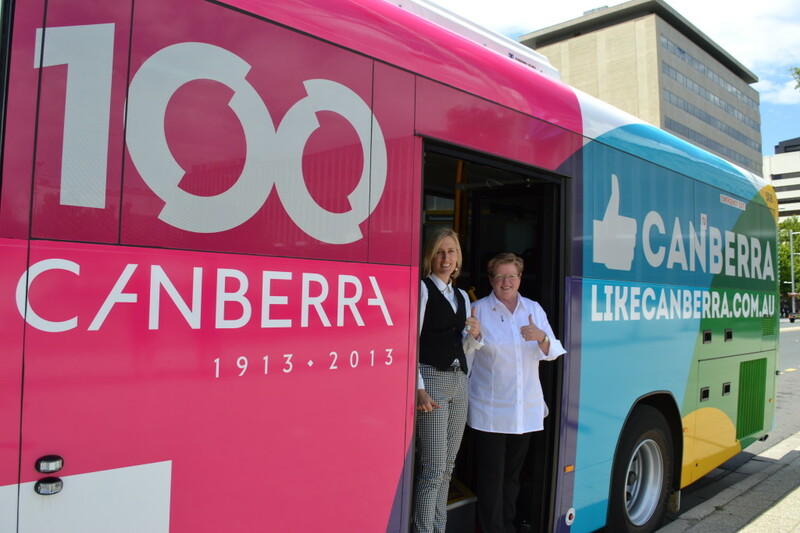 By the end of July 2013 more than 3,700 newspaper, online, radio and television stories outside the nation’s capital had mentioned the Centenary of Canberra. The key to success was creating and building the right infrastructure for communicating the message. We used our networks to build an effective and comprehensive media and communication infrastructure – in-depth, targeted lists based on detailed research of media audiences across regional and urban Australia. Co-operation and collaboration with senior Australia journalists and media managers also played a key role in achieving strong results. The Foundation Stone ceremony on Canberra’s official 100th birthday (March 12) was broadcast live on Sky News and ABC 24, while every other network in the Federal Parliamentary Press Gallery covered the event in print, radio, TV, online and social media. We decided that for this campaign the old adage was right: “All news is local”. We curated Centenary of Canberra stories generated by the PR team to give ‘local’ angles right across Australia and then pinpointed the journalists who preferred to focus on stories directly relevant to their local audiences. This approach saw events with participants from communities across the country, such as the 2013 Kanga Cup, the One River project and the Indigenous Cultural Program gain extensive coverage back in their home bases. Canberra’s brand for this 21st century city is “Full of brilliant possibilities”. The National Pride in Canberra strategy has played a significant role in opening up the possibilities of engagement between the national capital and Australian communities everywhere.